With March Madness underway, IT teams across the country are feeling the impact of the NCAA basketball tournament games streaming on their companies’ networks. After all, a lot of employees will spend the end of March and beginning of April splitting their time between watching hoops on the job and actually doing their jobs. According to one national survey, 34 percent of all employed adults will watch at least one tournament game at work. Given the overwhelming popularity of March Madness, wouldn’t it be easier to simply turn a blind eye to all the tournament activities? Rather than lock down the network, why not just let employees watch their games, post their tweets and Facebook updates, and trust that they’ll be responsible enough to take care of their jobs at the same time? Well, that approach might be easier but it’s not smarter. True, the vast majority of employees will watch responsibly without letting the games or the related social media interfere with delivering high quality work. However, while each employee may take care of his or her business, the collective network activity generated by all of those basketball-obsessed employees can bring enterprise networks to a crawl. And that’s going to put a choke hold on the performance and availability of business applications, ecommerce activities and other business-critical network services. To keep your hoops fans happy and your business humming during March Madness, check out the five tips below. 1. Establish IT policies that address business and personal apps on the network: In the era of BYOD and “work from anywhere, at any time,” companies need to accommodate a reasonable degree of personal usage of their corporate networks. Just don’t let your employees inadvertently bring down the network by overwhelming it with reasonable personal use. For IT teams, this means setting alerts based on bandwidth utilization and identifying bandwidth threats before they get out of hand. Ideally, IT teams will set real-time alerts and business-hour filters, so they’re notified about problems — and can fix them — as they happen. 2. Monitor your network for availability or poor performance: The corporate network pumps business-critical and highly-sensitive information inside the company and out to the world at large. Any degradation in performance or disruption in availability can have grave consequences in both the short term and long term. In addition to seriously damaging the company’s reputation, poor network performance and availability can hamper productivity and adversely affect the overall mission of the company. Every IT organization — in SMBs and enterprise organizations alike — needs to vigilantly monitor network availability and performance. This isn’t a luxury. It’s a mandatory network task that can be accomplished with affordable, real-time tools that provide IT teams with visibility and analytics. 3. Evaluate the bandwidth vampires: Simply put, bandwidth is the lifeblood of the company. That means a key part of your job is to identify and eliminate the bandwidth vampires, those unauthorized and bandwidth-sucking personal applications that adversely impact the performance of the applications that actually run your business. With the right tools installed, IT teams must create and analyze highly granular reports on network bandwidth utilization. Performing such granular network analysis will help shine a light on the bandwidth vampires. 4. Monitor app traffic in real time and make changes on the fly: Between configuring network devices, resolving trouble tickets and beyond, IT teams just don’t have a lot of free time. But carving out a few hours to create appropriate policies that prioritize the function of mission-critical applications will be time well spent. By assigning the highest priority to CRM, ERP, email and other core apps, you can prevent March Madness, cat videos and the like from undermining your business. 5. Get control over which apps employees are using on their mobile devices: Employees aren’t just watching hoops on their desktops or laptops. They’re watching on their mobile devices, too. That means IT departments have got to expand their real-time monitoring to include mobile devices, both company-issued and personally owned. IT managers need to be able to take control at any time and be able to regulate applications that run on the network on any mobile device. And if you don’t already have one, get an effective mobile device management (MDM) strategy in place sooner rather than later. March Madness is here. But with these tips, you can accommodate the games on your network without letting them knock your company off of its game. Raj Sabhlok is the president of ManageEngine and Zoho.com, both divisions of Zoho Corp. Raj has particular interest in IT management software and its power to change the fortunes of a business when implemented effectively. Prior to Zoho, Raj spent nearly 20 years working with some of the world’s most innovative technology companies including Embarcadero Technologies, BMC Software and The Santa Cruz Operation (SCO). In his career, he has held technical, marketing, sales and executive management positions within the enterprise software industry. 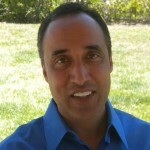 Raj has a bachelor’s degree in mathematics from the University of California, Santa Cruz and an MBA from Duke University’s Fuqua School of Business. He lives in Silicon Valley with his wife and four boys – and his iPhone. Follow him @rajsabhlok.